Providing beautiful homes, built to the highest standard. Plot 6 had 4 bedrooms, 3 bathrooms and a double garage. It featured a spacious entrance hall, leading to the open plan kitchen and dining area. With an impressive interior design and integrated appliances, it created an ideal kitchen space. It also featured a utility room, perfect for adding extra space for storage. The property featured a garden room which leads to the patio, creating a beautiful openness to the home.A large lounge and study were also gorgeous features of the home. Stairs lead to the master bedroom, which has a dressing room. The garden featured a pond, adding a wonderful touch to the stunning garden, all professionally turfed and paved. This home was crafted through our custom build process, which is outlined below. There were a wide range of upgrades available. For detailed plot specific specification, please refer to our sales team. Ceramic wall tiling to the bathrooms (half-tiled) and fully tiled en-suite. With a generous budget allowance for bathroom sanitary ware and utility cabinets from our nominated supplier. With a generous budget allowance for kitchen and utility cabinets from our nominated supplier. Generous budget allowance for luxury vinyl flooring to the kitchen, bathrooms, en-suites and cloakrooms, from our nominated supplier. Complimented with contemporary architrave and skirting board. Recessed lighting to ceilings in a variety of colours (white, chrome or brass) to all rooms (including hall and landing), except for the lounge and bedrooms. Telephone and TV points to living room and all bedrooms. Single colour emulsion paint on walls and white ceilings. Single colour satin wood paint to all woodwork. Professionally paved patio area and footpaths around the perimeter of the dwelling. Beautifully turfed and landscaped front gardens. The rear garden is top-soiled and levelled. An outside tap is also provided. Close-boarded fence to all relevant boundaries. Coach lamps to the front and rear entrance doors. Power and light to garage. All properties have their own parking spaces available. Double garage with cedar wood doors and UPVC side entrance. Copyright Ⓒ 2015-2018 Postland Developments. All rights reserved. This website and its content is for illustrative purposes only. Elevations, treatments and site layouts may change. This website should be treated as general guidance and is not intended to form part of any warranty or contract. Surfaces, landscaping, layouts, parking arrangements and boundaries should be checked prior to reservation. The dimensions shown are approximate and the precise measurements may vary. Previous developments were carried out by Postland and its associated companies. You're invited to join us on site for our Open Days on the 6th & 7th of April 2019. 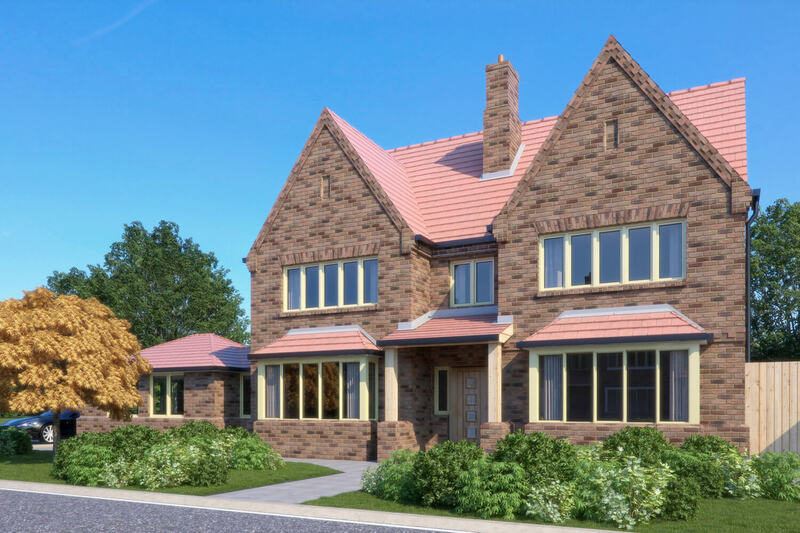 Our Sales Team will be on hand from 10am till 5pm on Saturday and from 9am till 4pm on Sunday to answer any questions you have and to show you around some of the beautiful homes we're building.